Good afternoon , I love this app but l still need to learning. I would like to ask about the problem error Debugging Not Enable? when l made a project using Visual Basic (Wisej) and trying start debugging, my project program success. but when I save all of the project and I try to start debugging again, the program I get out notice debugging Not Enabled. 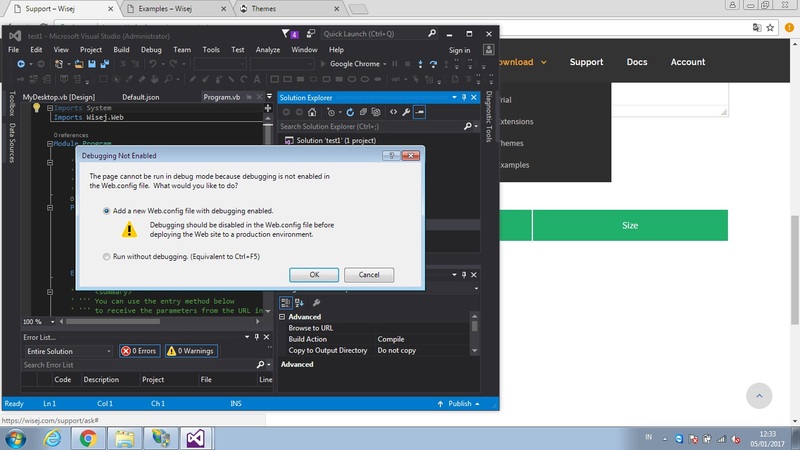 That is Visual Studio asking you if you want to enable the debug property in Web.config. It should ask only once though, unless you switch to Release.